Audi has been having so much followers with whatever products they make and in terms of number of buyers also they does enjoy a high status among the brands. And the latest news is that Audi has finally unveiled the second-generation Q7 SUV as the very new Q7 will be shown to the audience for the first time at the upcoming 2015 Detroit Motor Show. Reports say that it is expected to go on sale late next year. Also it replaces a model that’s been around since 2006 and competes with the other three-row large SUV, the Mercedes GL500. Actually the model has the same size as its predecessor, but having said that the all-new Q7 uses lightweight aluminium and high-strength steel to shed more than 700 pounds. The new Audi Q7 is 325kg lighter than its predecessor in its 328bhp supercharged 3.0-litre V6 petrol version tipping the scales at 1,970kg. 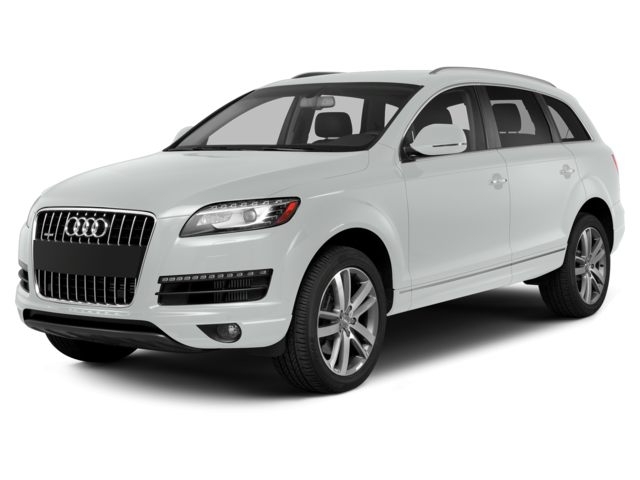 The big news for the new Q7 is the addition of a plug-in diesel powertrain in the Q7 E-Tron Quattro. This top-end model gets 373-horsepower and 516 pound-feet of torque from a 3.0-liter turbo diesel engine and an electric motor. The new Q7 has gone through a detailed weight reduction exercise that has seen as much as 100kg cut from its suspension, an additional 71kg from its body, and around 24kg via the adaption of aluminium doors alone. When it lands in the UK, all Q7s will be powered by Audi’s 3.0-litre, 270bhp V6 diesel, though with a raft of improvements to make it Euro 6 compliant. It’s also torquey; there’s 443lb ft on offer, meaning it’ll sprint from 0-62mph in 6.3 seconds, before topping out at 146mph. Audi didn’t confirm when the E-Tron model will go on sale, though it will be later than the gas and diesel models. The updated Q7 boasts an evolutionary appearance, the front gets a new bold single-frame grille which is similar to the recently updated Q3 SUV. It comes with heavily defined wheel arches, tauter surfacing and a more prominent shoulder and other crease lines within the flanks in order to make it look less bulky. And adding to that Audi reckons on this engine returning 47.8mpg, and emitting just 153g/km of CO2, both reasonable stats for a car like this. A lower-powered 215bhp version of this V6 will arrive later in the year, along with a plug-in hybrid Q7 e-tron Quattro late in 2015.Playing the luxury space, this new SUV will get a full host of electronic safety and comfort goodies. Audi says it will be among the first vehicles in the world to offer both Apple CarPlay and Google Android Auto. Rear-seat entertainment, autonomous parking, adaptive cruise control and a system that steers the Q7 at low freeway speeds will all be optional. There are also no fewer than seven dynamic settings (efficiency, comfort, auto, dynamic, individual, all road, and lift/off-road), 19-inch wheels (with the option of 21s, yo), vented discs with six-piston calipers, a predictive efficiency assistance, night vision assistance, adaptive cruise control, a traffic jam assistant and lane assist. Phew. And when it comes to the price tag, Audi hasn’t yet released pricing on the Q7 SUV .But the current generation starts at $48,000. 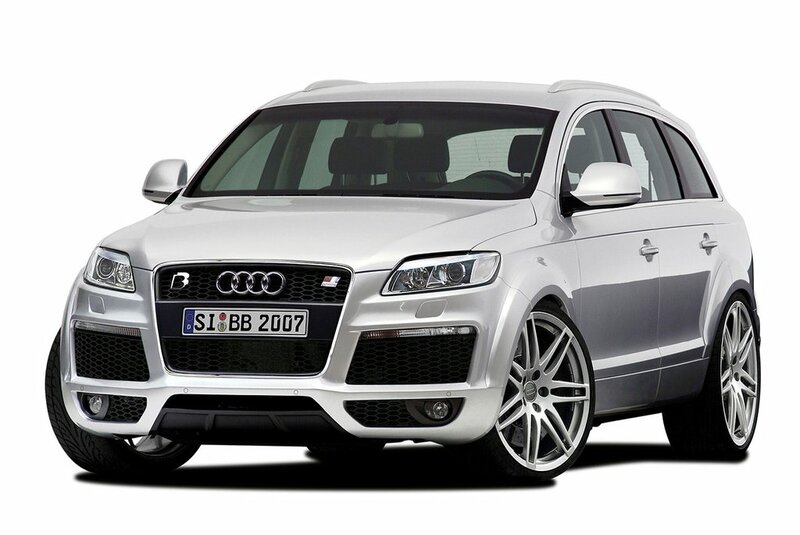 Whatever be the price, the new Q7 will have lots of competition than the first generation. 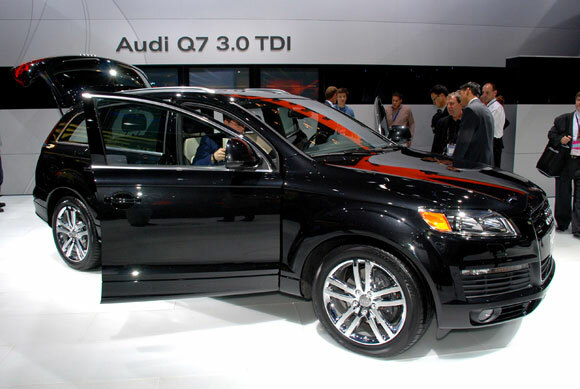 With that being said Q7 SUV will make its official launch on Jan. 12 at the 2015 Detroit Auto Show. It is just a matter of days before more things will be known about the model. So keep visiting the blog to get updated. Have a nice day…!! !